Give a gift to make their hearts hum with joy! 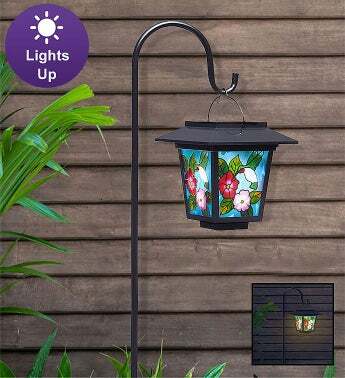 Our stake-mounted solar lantern, featuring a unique stained-glass hummingbird design, adds vibrancy and charm to any outdoor gathering space. And when the sun sets, let the lantern bring a colorful glow to the yard, fascinating guests all night long.